ANDERSON SPRINGS, Calif. (KGO) -- The Valley Fire has scorched 70,000 acres. At least 585 homes have been destroyed and only 30 percent contained. Cadaver dogs are now searching Anderson Springs for one of four people who are missing. Leonard Neft's car was found a short distance from his home. So far, they haven't found him. 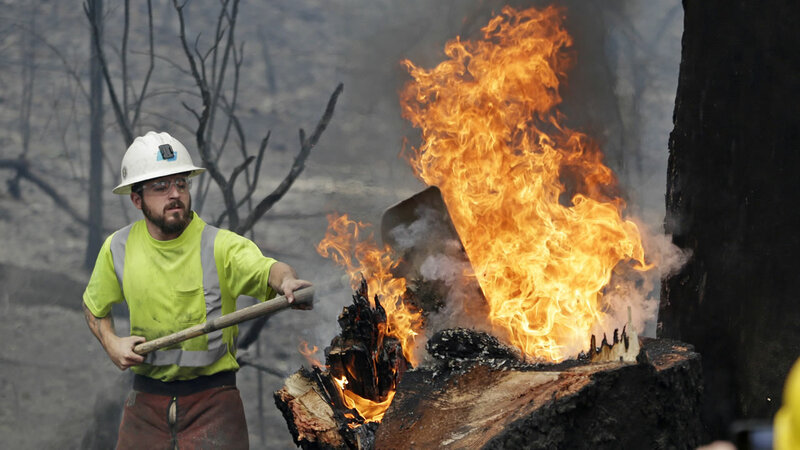 The rain arrived Wednesday, but not in time for those who lost everything in the Valley Fire. In Anderson Springs, firefighters from Nevada County took a break in the weather to douse some hotspots. "Way too late for the rain," said firefighter Clint Carson. "Depending on how much rain we get, it may not be enough to truly put an end to this." Up the highway on Gifford Springs Road, there is a scene of total destruction. House after house, completely gone, with just a few spared in between. Though it's raining, Cal Fire still lists some 7,000 structures threatened, all inside the 105-square mile burn area. "We don't consider ourselves to be out of the woods until we have this completely contained and mopped up and all those possibilities of more explosive fires are gone," said Cal Fire Staff Chief David Chew. "And then we'll know that everything is safe." The rain is only a temporary reprieve as temperatures are expected to climb back up into the 90s before the weekend. #RedCross helping #CA communities impacted by #ValleyFire & #ButteFire. Follow @RedCrossCalNW & @RCSierraDelta for latest response info. 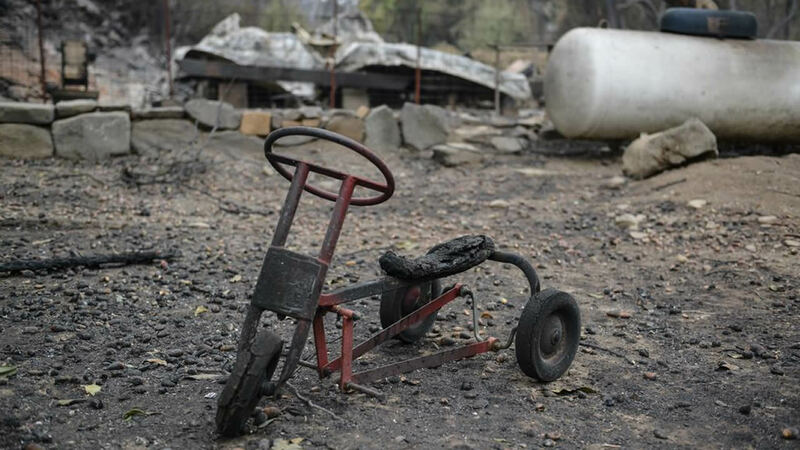 Just In - The #ValleyFire in Lake County is now estimated to have burned 40,000 acres. The Valley Fire has hit Middletown. A school and several homes have been destroyed. Additional Mandatory Evacs on #ValleyFire in Lake Co. From Hwy 29 & Hwy 175 south to Seigler Canyon Road, along the south side of Hwy 29. Explosions from propane tanks, homes on fire, and Main Street in Middletown in flames. It's a terrible night in Lake County. Middletown in Lake County is now under a mandatory evacuation due to the #ValleyFire. Hwy 29 now closed at Lower Lake to Middletown. Visited our 4 injuries Firefighters from LNU at UC Davis Burn Unit. All expected to make full recovery! !